Permanent Secretary (Ag.) in the Office of the Prime Minister, Dr. Gerard Jean-Jacques, has been recognized by the Université Laval in Quebec, Canada. Dr. Jean-Jacques received two honours. First, the Department of Political Science honoured him for producing the top doctoral thesis in the Department in the 2016- 2017 academic period. The thesis is entitled “Power Relations and Good Governance: A social network analysis of the evolution of the Integrity in Public Office Act in the Commonwealth of Dominica.” It focuses on power relations among actors during the development phases of the Act. Then, second, at a “Gala of Excellence” in Quebec City, Dr. Jean-Jacques was named among five other doctoral graduates of the university for being the top six doctoral graduates of 2017 in the Faculty of Social Sciences at the Université Laval. In recognising the graduates, the University considered the strength of their academic scores, the analytical rigour of their doctoral theses, their commitment and perseverance to their studies, and their post-studies career profile. Dr. Jean-Jacques’ areas of specialization are public policy, public administration, governance, and public management with research interests in democracy, governance, and power. Until August 2016, Dr. Jean-Jacques was the Permanent Secretary (Ag.) in the Ministry of Tourism and Urban Renewal. PS Jean-Jacques used the University’s recognition as a platform for spotlighting the “Nature Isle of the Caribbean”, Dominica’s, commitment to becoming the first climate resilient nation in the world. 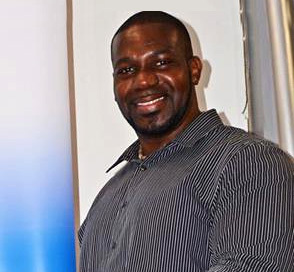 While in Quebec, he made a 45-minute presentation to the university community on the role of Dominica’s public administration in the aftermath of Hurricane Maria. Dr. Jean-Jacques has since returned to office as Permanent Secretary (Ag.) in the Office of the Prime Minister.